Akbuk Made township 1991 and developing as very well planned. Most of the infrastructural work has been done, clean roads, beautiful and very calm beaches, welcomes you to Akbuk is an ideal resort for the ones who loves silence and water sports. Many people who comes from big cities just after been here and made decisions about staying here after their retirement. It is explored by tour operators in recent years but not been very busy yet comparing to the such resorts like Altinkum, Kusadasi, etc. The economy related tourism in recent years and also fishing for most of the locals do have their fishing boats mainly used for boat trips along the coasts of Akbuk for the summer time. during your visit to Akbuk The Chapel on the cast line close to town center is very well preserved can be visited open to public visits. There are big holiday comlexes, 3 star hotels and also one 4 star hotel and also one holiday complex for French tour operators rated as holiday resort 5 stars, and also small pensions, motels available during the summer season. Restaurants by the sea, serves delicious fish and local food can be found with the reasonable prices not to be missed. Eingestellt von Didyma-propertys um 07:43 . Miletos’un beyond the southern end İonia’nın, Western Anatolian shore of the most impressive monuments as we can independently increases Didyma Temple of Apollo. Monumental size and the unique plan of the temple until you come to a very good protection in the wake admiration. More than a hundred years ago, Sir Charles Newton wrote as follows: “with two giant columns of the unfinished third arkhitrav part and a column, the only surviving temple of Apollo. Monumental Remains in the fall, the tracks were piled on top of the glaciers look like “. With French and German archaeologists, structural columns around the outside of today is completely foot. In the Greek world, Didyma Temple of Apollo, dev-dimensional architecture of building is not the monopoly of salt will remind the Romans. Any time a city has not moved Didyma nature. Klaros’a similar in this regard, the Gryneion’dan separated. The temple and its management bilicilik, Miletos in soil and in front of the priest from the city took place between officials. Didyma name from the Greek, but are caused by the Anatolian languages; Karia’daki just Idyma, Lykia ’such as the Sidyma. In a coincidence of the word, in Greek “twins” like the word meaning Didymi the twin sister of Apollo and Artemis is associated with the awakening has thought. Therefore, the ancient authors have adopted some form Didymi. 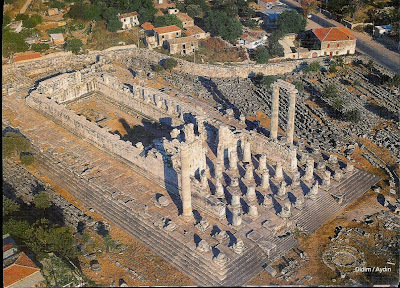 However, a temple of Artemis Didyma‘da and has a cult, but compared with Apollon‘unki do not carry much significance. Pausanias, bilicilik stamping before the ion immigrants here say there is. Riding on a really, really old. The most ancient inscriptions over historical ele BC 600 due to the dates and a reminder of one of them belongs to bilicilik is a part. According to the young generation coming to understand advice that is accurate and will not be engaged in piracy have asked God for the “right thing is to make the fathers” was the answer. Cult in this early period, Brankhidai (Brankhidler) is called and suggested that the Delphoi origin under management were a noble family. Brankhidai name, for Didyma is often used as a second name. Kroisos BC 6. In the middle of the century Persian countries determined to attack, the first thing to go to a bilicilik central thought of the advice, but advice to determine the reliability of a trial would do. Thus, the most famous bilicilik centers, in the meantime, the messengers sent Didyma’ya. They refer to the Knower, it is time to tell the king what do they want. Won bronze at that time a king in fact, a turtle and a lamb kaynatmaktaydı.Doğru you answer Apollo gave Delphoi another real bilicilik center was approaching, but Didyma, success could not be shown. Nevertheless Kroisos, Brankhidlere has always befriend; God is glorious adakla presented. Alan was a partner they are submitted to them the Holy Delphoi. See Herodotos’un told, the king’s offer presented 12 articles of gold and pure talent 226 talent “white gold” (electrons), today’s measure 2 cubic meters with the total precious metals, gold and silver bowl made of two giant, but big in size four silver testing; gold and Silver two hearts, necklaces and belts belonging to the queen, who also said to describe the palace cooks, contained life-size statue in gold. Information about the appearance of the temple of this period not a few. Visitors land at the northwest and the small harbor Panormos a sacred temple is known to reach by road. During the two sculptures are near sacred path. İ.Ö.6. Many of these statues are dated to century in 1858 by the British Museum’a Newton not send the original parts remained. Most Archaic period-specific, sitting upright in a way that will describe the figures. Some of them have inscriptions. A lion in the path of holy statues of a sphinx is a statue. Ancient statue of Lord Elgin, especially, by Charles Fellows, and Sir Charles Newton – of course with the permission of the Ottoman government, and Greece-Turkey soil from their museum moved to Europe has been very criticized. Yet time has not come to mind to criticism, and has been justified from two aspects: the Monument to protect them from damage or loss, and submission to the interest of scientists and intellectuals. “Elgin Marble and” as big a stir in the UK has known works, has created a revolution in artistic taste. Today, a person who visited Parthenon’u, they may wish to be remained in place, but very rare in 1800 in Athens, Ionia, and the even more rare Lykia’ya been going must not be forgotten. If Fellows, Ksanthos statues and reliefs that would bring to London, how many people might see them? These monuments been left in place, and to go away or the damage was inevitable. Mahaffy, with guns in the hands of a Greek Akropolisi’nden Athens, following a statue of Dionysus Theater has been a witness to the shooting. Fifty years ago, Sir William Newton and his way Gell’in in Didyma as the sacred, a figure seated statue impersonator to stop writing now in place. Continued existence of the two thousand years to a work, does not guarantee a hundred more years will continue. Turkey and Greece can now go to these countries, and often to work for the old who have responsibility for managing the government, the museum moved to Europe to be a refund of the work should not be led to debate about. Discussions as a precaution while at least temporarily, a copy of the work place can be. Indeed, this has been done in some places. Didyma early phase of history, the temple was destroyed by the Persians ended. Herodotos, BC And 494 failed to riots in Ionia, Miletos idea Dareios’un the temple, and burned by marauding explains bilicilik place. However, the same action Kserkses’in BC Pausanias with Strabon 479′da Plataia’daki after the defeat, is performed when the authors return from Greece. This event was guilty of infidelity to God in Brankhidler; sacrifice of the treasure was delivered to the king of Persia, and without any hesitation betrayed track to get rid of the incident, after he had escaped the Persian country. There were the king placed his hand near Sogdiana. Hundred and fifty years later, Alexander came over here until. Ask what to do in the Army after Miletoslulara, was a place to place. “So,” he links the words of the historian, “his father operated by the sons paid the penalty for the crime.” Then the King of Syria I. Seleucid the Persian capital of the bronze Apollo sculpture was stolen Ekbatana’da Kserkses’in, has returned Didyma’ya. After the Persian destruction, bilicilik center has a long recovery. 5. section and the rest of the 4th century century did not get any sound. But with Alexander’s development for years with dry springs sacred Didyma’daki, bilicilik of spring, was re-welded. Alexander’s body back to life bilicilik is the son of the god Zeus and the core will Gaugamela’da harbinger of victory has been won. Nevertheless, to revive Seleukos’a Didyma actually owes. BC Seleucid On the location of the old temple in the neighborhood of 300, we see the remains today launched construction of the giant structure. New sacred space in a short time has gained a great wealth. But BC 278 years has seen more damage from the attack of invaders Galata. The inscription reveals the results Didyma’da excavation of a temple belonging to the inventory year is İ.Ö.277. Inscription “leftovers from the war to increase the” s, Apollon treasure bezemeli a bowl of silver decorations and a bull horn and Artemis, one of the treasure off the pedestal a thurible, two small thurible and go far beyond the three belts are not documented; back has nothing else left. The structure has not been completed yet and could remain standing. Two hundred years have tried to complete it Miletoslular APIs. BC 70 years of pirate loot wounds were quickly embraced. But everyone’s eyes to see the temple as to shock the last rötuşla could not be passed at any time. For example, most of the stones could not shoot, the grooves of the columns could not be completed. The plan is unusual in several aspects of the temple, even the structure benzersizdir.İon layout “dekastylos dipteros” plan shows that a short column containing two columns on the side has been translated. Two columns on a front yard more pronaosta has the qualifications. Thus, the total number of columns to reach 120. We will define as the most sacred part Pronaos between naos, in a front room are the two columns. Doors opening to the front room of 1:45 m. Pronaostan high threshold, it is not used with an input function. The front room is an item we do not encounter in the temple and other functions will be examined below. The front door in the room the following three steps 2:59 m. is low in the remaining naosa. This is a big yard with a height of 21.3 m.yi beyond the walls andırır. Unusual length of Naosun structure is caused by the presence opisthodomostan deprived. Strabon, due to giant size, the structure is covered by a roof that never tells. One passage in the curved side Pronaos flour, pronaosu naosa to connect. This is an issue that is not a precedent. Greek cult statue in the temple usually takes a position close to the wall behind naosun. Be open to the uncle Didyma’da on the naosun Apollon statue in order to naiskos ion, a small temple was built. today only the basics of accessing the bilicilik piet naiskosun upper section of wall içindedir.Naos are decorated with pilasterler. Pilaster between the title of a griffon and friezes Iyra motif extends. Some parts belong to the north wall frieze in front of the stands today. Another unusual feature of the front side of the room and the stairs are reached on the naos walls. The temple has a rich and ostentatious decorations. In this context, pronaos columns on pedestals and diversity izlenen decorations adorn the Medusa friezes arkhitravı to be addressed. Western end of a column in Hafirler destroyed, falling as in the time left on a stretcher and had slipped. Create a straight horizontal line Stylobat, axis to make camber is correct. Does not exceed a few centimeters that convex curves, steps are obvious, especially when you look through the eyes kısarak. This application is called Curvatura often we remove the Greek temple. The goal is to have a long straight line of the crash that led to the detection corrects the optical illusion. Like a single straight line Parthenon’da detect, leading to the collapse of the optical illusion is correct. Not a single straight line is said to Parthenon’da found. Didyma Apollon Temple, who seek refuge in border protection precisely, since the owner was more than immunity rights. Temple of Artemis at Ephesos as Marcus Antonius, Iulius Caesar in 2000 feet Didyma’nın expansion space immunity. However, the right to protection of the Emperor Tiberius for several Greek temple opens an investigation, Miletoslular, did not show evidence Caesar’ın put into effect the application. In its place, the old days of central Brankhidai bilicilik I. Consider a letter to paper Dareios’un presented. Results based on a very old allegations Didyma’ya the temples for the suspicious among the second degree was given. In general, the emperor of Rome Didyma’ya friendship gösterdiler.İ.S. Traianus in 100 years, will go to Miletos’tan Didyma Sacred Space, 17.7 km. cover the costs of a road has been long. Until that day comes Miletoslular always had Panormos’a by sea. Overtone of the Traianus’un why this donation, the contemporary philosopher and orator Prusiaslı (Bursa) Dio’nun article is to clarify. According to describe Dio’nun Didyma bilicilik center, Traianus’a yet not such a case, when will one day rise to empire was reported. Accepted as the spokesman for quarry Traianus prophecy, Didyma Apollonu’nu has also honored. Then move in the same way was Hadrianus. Undoubtedly, this divine inspiration Knower of women with early spring, said the sacred words of the two emperors came to listen and consult on the transfer in a way that does not mean vezinli. Subject, these task-related charges against the empire of the treasure is on. İ.S. 2. century, starting with Traianus, Marcus Aurelius’a continue until the “good” emperor of the time period has lived a rich Didyma, bilicilik center of the stars were shining in particular. Excavation often discussed in this phase belongs to the oracle text. Didyma (Greek: Δίδυμα) was an ancient Ionian sanctuary, the modern Didim, Turkey, containing a temple and oracle of Apollo, the Didymaion. In Greek didyma means "twin", but the Greeks who sought a "twin" at Didyma ignored the Carian origin of the name. Next to Delphi, Didyma was the most renowned oracle of the Hellenic world, first mentioned among the Greeks in the Homeric Hymn to Apollo, but an establishment preceding literacy and even the Hellenic colonization of Ionia. Mythic genealogies of the origins of the Branchidae line of priests, designed to capture the origins of Didyma as a Hellenic tradition, date to the Hellenistic period.Didyma was the largest and most significant sanctuary on the territory of the great classical city Miletus. To approach it, visitors would follow the Sacred Way to Didyma, about 17km long. Along the way, were ritual waystations, and statues of members of the Branchidae family, male and female, as well as animal figures. Some of these statues, dating to the 6th century BC are now in the British Museum, taken by Charles Newton in the 19th century.Greek and Roman authors laboured to refer the name Didyma to "twin" temples — not a feature of the site — or to temples of the twins, Apollo and Artemis, whose own cult center at Didyma was only recently established, or whether, as Wilamowitz suggested there is a connection to Cybele Dindymene, "Cybele of Mount Dindymon", is mooted. Recent excavations by the German team of archaeologists have uncovered a major sanctuary dedicated to Artemis, with the key ritual focus being water.The sixth-century Didymaion, dedicated to Apollo, enclosed its smaller predecessor, which archaeologists have identified. Its treasury was enriched by gifts from Croesus. Eingestellt von Didyma-propertys um 11:58 . -Following, regulating and archiving every kind of land registry and cadastre transactions related to real estate located in Turkey which are owned by real and legal persons of foreign nationality and persons having nationality of the Republic of Turkey but residing abroad. -Collecting documents exclusive to its activity field for international real estate negotiations related to meetings among ministries and institutions. -Performing similar duties given by the General Directorate. It is stated in the article 12 of the Constitution of the Republic of Turkey that every person has individual, inviolable, untransferable, unrenouncable fundamental rights and freedoms, and it is expressed in the article 16 that fundamental rights and freedoms can be restricted for foreigners by law in accordance with international law. It is also accepted in the article 1 of the Protocol numbered 1 of the European Human Rights Convention that property rights of foreign persons can be restricted in conformity with general principles of international law. Real estate acquisition of foreign real and legal persons has been regulated in the article 35 of the Land Registry Law numbered 2644 that was modified by the article 19 of the Law numbered 4916 and dated July 3, 2003. By this amendment new regulations have been introduced concerning real estate acquisition, in our country, of real persons of foreign nationality and trade companies having legal personality and established in foreign countries according to the laws of these countries, and article 36 of the Land Registry Law was abrogated and its content was added to the article 35. Besides, the article 87 of the Village Law numbered 442 was completely abrogated. "With the reservation of being reciprocal and complying with legal restrictions, real persons of foreign nationality and trade companies having legal personality established in foreign countries according to the laws of these countries, can acquire real estate within the boundaries of the Republic of Turkey. In implementation of reciprocity principle, it is essential that real estate acquisition rights given by a foreign country to its own citizens and to trade companies established in foreign countries according to the laws of these countries, are also given to the citizens and trade companies of the Republic of Turkey. Real estate acquired through legal inheritance by citizens of a country that does not have reciprocity with Turkey and real estate located in the areas subjected to legal restrictions, are liquidated after being transferred by inheritance and converted to its value. Real estate acquisition of real persons of foreign nationality and trade companies having legal personality and established in foreign countries according to the laws of these countries, more than thirty hectares, depends on permission of the Council of Ministers. This provision is not implemented for real estate transferred by the way of legal inheritance. Real estate acquisition of real persons of foreign nationality more than thirty hectares through transactions depending on death apart from legal inheritance is also subjected to permission of the Council of Ministers. If permission is denied, the exceeding part is converted to value by means of liquidation. In case of registration of limited real right on real estate in favor of real persons of foreign nationality and trade companies having legal personality and established in foreign countries according to the laws of these countries, reciprocity principle is not stipulated. With regard to public interest and state security, the Council of Ministers is authorized to determine where this article will not be implemented." Today, in terms of real persons, countries that have (annex-1) and do not have (annex-2) reciprocity between our country are listed at the end of this text. The demands of citizens of countries that are not involved in these lists will be concluded by consulting the General Directorate. b. According to the article 35 of the Land Registry Law numbered 2644, foreign real persons can not acquire real estate more than thirty hectares in our country, however for acquisition of more than thirty hectares, decision of the Council of Ministers is required. Legal inheritance is exception of this rule. c. Since the article 87 of the Village Law numbered 442, was repealed by the new regulation it is possible for foreign real persons to acquire real estate in villages. By the amendment in the article 35 of the Land Registry Law, the right to acquire real estate in Turkey was given to all foreign trade companies on condition of being reciprocal and complying with legal restrictive provisions. Conditions of being reciprocal and complying with legal restrictions are also valid for foreign trade companies, as it is for foreign real persons. Whether there is reciprocity between our country and a foreign country in terms of trade companies, is determined by consulting the Ministry of Foreign Affairs. Provisions that are valid for foreign real persons in terms of legal restrictions are also valid for foreign trade companies. Furthermore the rule which involves that reciprocity will not be stipulated when a limited real right is registered in favor of foreign real persons, is also formulated for foreign trade companies. Eingestellt von Didyma-propertys um 09:37 . Also called DIDYMI, or BRANCHIDAE, ancient sanctuary and seat of an oracle of Apollo, located south of Miletus in modern Turkey. Before being plundered and burned by the Persians (c. 494 BC), the sanctuary was in the charge of the Branchids, a priestly caste named after Branchus, a favorite youth of Apollo. After Alexander the Great conquered Miletus (334), the oracle was re sanctified; the city administered the cult, annually electing a prophet. About 300 BC the Milesians began to build a new temple, intended to be the largest in the Greek world. The annual festival held there, the Didymeia, became Panhellenic in the beginning of the 2nd century BC. Excavations made between 1905 and 1930 revealed all of the uncompleted new temple and some carved pieces of the earlier temple and statues. Made a township in 1991, Didyma is a peninsula surrounded by the provincial limits of Mugla and the Akbük cove in the east, the Aegean Sea in the south and west and the lake Bafa and the river Meander in the north. 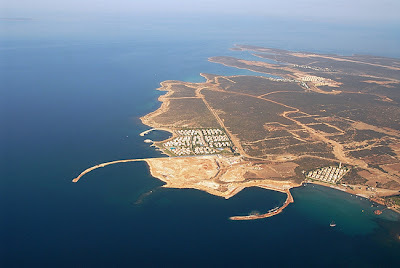 It is located 106 km from Aydin, 53 km from Söke, 73 km from Kusadasi, and 110 km from Bodrum. The number of its inhabitants is 10.400 according to the census of 1990, and its area 300 km2. Didyma possesses a bed capacity of 15.000 in 200 facilities either certified by the Ministry or by the Municipality. There are a lot of invaluable historical sites, ruins, ancient cities and recreational facilities by the seaside in and around Didyma which make the region a world-known tourism center. This shows that Didyma is a town of history, legends and nature with the Dilek peninsula on one side and the Meander delta and the Dilek peninsula on one side and the Meander delta and the take Bafa on the take Bafa on the other. Having a coastal line of 60 km Diduma further has hundreds of coves. Didyma is an ideal holiday resort for those who like aquatics. fishing, trekking, youth and student tourism, hunting, healthcare, historical works, sea sun and nature. The colors created by the setting by the setting sun over the sea at Altinkum are not those that can be seen elsewhere. You can enjoy with much satisfaction that moment with a goblet of drink at any restaurant by the seaside. Altinkum, Didyma is an excellent resort for those who would seek for the sea, sun and sand. You can have a sun bath on on golden sandy beaches, participate in aquatics in the coves where any kinds of such sports can be performed. When the sun start to set. Altinkum gains a nerdish color. Later than that hour, you can have dinner at hundreds of restaurants that serve the Turkish and various other cuisines from all over the world. And Altinkum, which looks small and quiet awakens in the evening. As the time goes by, you can see that people start dancing and chatting at the bars. If you are unable to slow down in the later hours of the night, you can dance in one of the discos which will entertain you until the morning. That is not all. You can also ride a bicycle to see the bars. If you are unable to slow down in the later hours of the night. You can dance in one of the discos which will entertain you until the morning. That is not al you can also ride a bicycle to see the coves and historical sites around the place. Besides the sea and sun on one side and the endless golden beaches on the other. historical and artistic wonders in everywhere. The Apollo temple of Didyma (the Didymaion), located within the boundaries of the village of Yeni Hisar in the Söke district of the province of Aydın, was known as a sanctuary and seat of an oracle attached to Miletus. Recent excavations revealed remains which showed that was not only a seat of an oracle but also the site of dense settlement. The research concerning the origins of the names of Didyma and Didymaion has been a subject of discussion going on for years. Along with several other myths, it was thought that the name Didymaion which meant \"twin temples\" or \"temple of the twins\", was related to DidymaArtemis, the twin sister of Apollo. However, as no definite evidence could be found, this theory also remained as a myth. With the intensification of work in recent years on the \"Sacred Road\" connecting Miletus and Didyma, and the finding of the place of the Artemis cult during the excavations however, it was proved that this thesis was riğht. The two temples built for the twin brother and sister, the Artemision and the Didymaion, constitute the origin of the name Didyma. Apollo and Artemis were closely related to the mother goddess Cybele who had, from prehistoric times, a very important place in Anatolia. The mother goddess Cybele had various names (such as Kubaba, Isis, Hepat, Lat) and epithets according to localities and cultures. The most widespread of these names was Dindymene which was derived from mount Dindymus and which is remarkable for its resemblance to the name Didyma. The name of Apollo is considered not to be Greek. Apollo, who, because of the resemblance in names was identified with the god Apulunas mentioned in Hittite written sources, represented shape given by rational perception, temperate power, fine arts and light. Besides these, he was renowned for his ability to prophesy, and he communicated to people through mediums and oracles his knowledge of the future. The dependence of communities on religion increased as it was seen that gods possessed forces to direct according to their will, all phenonema and events relating to nature and society. As a natural consequence of the increase in religion, belief in the power to prophesy of the gods who could foresee events and phenomena was intensified. In the Archaic period the oracle of Apollo had great fame. The great number of temples erected in Anatolia as seats of oracles is evidence that belief in gods had reached enormous proportions. The most important of the temples dedicated to Apollo were the Temple of Apollo at Delphi in Greece, and the Didymaion in Anatolia. These to seats were in constant rivalry with each other. A fine example of this rivalry can be clearly seen in the following verses by the oracle of Delphi. In the mid 7th century BC, in the oracles of Apollo, the god could be consulted once a year for official matters, and the answers received to questions directed would be in the form of \"yes or \"no\". When in later years, consulting the god also for private matters became a tradition, these consultations became gradually more frequent. The oracles of Apollo grew very rich as a result of this, and their fame and influence spread over large areas. They became as powerful as the state they were in and were effective in shaping the destinies of persons and communities, and particularly in politics where they played a very important role, they very often caused wrong decisions to be taken. Pausanias states that the Apollo temple at Didyma had been built before the Greek colonization (10th century BC). It is believed in the light of this that the existence of Didyma, like that of Miletus and Priene goes back to the 2nd millennium BC. However according to the results of excavations and research work undertaken up to the present day, the earliest temple remains date back to the end of the 8th century BC. One learns from Herodotus that valuable votive offerings were presented to the temple by King Necho of Egypt at the end of the 7th century BC, and King Croesus of Lydia in the 6th century BC. It is believed that the construction of the Archaic temple was begun in the mid 6th century BC and was completed at the end of the same century. In the 6th century BC, the Didymaion was administered by a priestly caste named Branchids. During this period which lasted about 100 years, the temple flourished and went through its most brilliant era. It was completely burned and plundered by the Persians during the battle of Lade, the priests of the temple were driven to Susa, and the cult statue of Apollo was taken to Ecbatana. The statue of Apollo which was dated back to 500 BC, was made by the sculptor Kanachus of Sicyon and reflects Anatolian - Hittite characteristics. The construction of the Hellenistic temple was begun after the victory of Alexander the Great over the Persians. However, it was understood from the remains that this Hellenistic temple was not completed. The temple of which the construction was continued under Emperor Caligula (37 - 41 AD) who wanted to be though of as the god of the temple, and later under Hadrian (117 - 138 AD), was never completed. With the alterations made in the 3rd century AD to protect it from plunder, the temple took on the appearance of a fortress, and flourished under the reigns of Aurelian (270 - 275) and Diocletian (284 - 305). There are findings which indicate that work was done on the temple during the reign of Emperor Julian (361 - 363). In the beginning of the 5th century AD, Emperor Theodosius had a church built in the sacred courtyard (Adyton - Sekos). This church, which had the appearance of a three - winged basilica, was destroyed in an earthquake and later rebuilt with one wing (9th century AD). In the 10th century AD, the two - columned hall (Chresmographeion - hall of the oracle) and the pronaos, which were used as storage areas, were greatly damaged in a fire, and most of the marble turned into lime. After the Seljuks and the Mongols conquered the region the temple was completely abandoned. An Italian traveler who visited Didyma in 1446 records that the whole temple was standing, however at the end of the 15th century the temple was completely destroyed by an earthquake and turned into a heap of marble. In later years the temple was used as a quarry, and many of its architectural elements were used as building material in the construction of dwellings and other buildings by the local people. EXCAVATIONS The first excavations in Didyma were made in 1858 by the English under the direction of Newton. The area excavated was the Sacred Road. In the temple, excavations were first begun in 1872 by the French under O Rayet and A Thomas. The aim was to find the cult statue of Apollo, but at the end of the work which lasted two years, the cult statue had not been found. However, it had been possible to determine the dimensions of the temple and to reconstruct its plan. In the excavations of 1895 - 96, again undertaken by the French, the work, supervised by B Haussoullier and E Pontremoli, was concentrated on the northern part of the temple. These excavations were stopped shortly after due to economic reasos. THE SACRED ROAD The Delphinion is accepted as the starting point of the Sacred Road connecting Miletus and Didyma. The road ran from the Sacret Gate of Miletus southwards in the direction of the coast to Panarmos Harbour (above Akköy), and - bending south - east from the port, reached the Didymaion. Within the boundaries of Yenihisar, the Sacred Road runs close along the side of the asphalt road. A portion of the Sacred Road has been revealed by excavations and exploratory trenches dug in recent years. However, due to certain bureaucratic obstacles, it has not yet been possible to establish its connection to the temple. On either side of the road there were statues of Branchids (priests and priestesses attached to the temple), crouching lions and sphinxes, all of which gave the road an impressive appearance. Monumental tombs and sarcophagi belonging to important persons were also dispersed along the road. Statues of Branchids revealed in the excavations carried out by Newton in 1858 on the Sacred Road have been taken to the British Museum. Some fragments belonging to the statues are in the storeroom of the house of excavations in Didyma. Four of the Branchid statues in which Hittite influence is apparent and which have been dated back to the 6th century BC, are on display in the museum in Miletus. In the years 100 and 101 AD Emperor Trajan had the Sacred Road restored. The parts of the road that had fallen down were raised to a higher level and the other parts were repaired. Inscriptions indicate that the restoration work was completed in a very short time. It was understood from a milestone revealed during excavations that the road was 16.5 kilometers long. According to the portions uncovered, the width of the road which was made of stone blocks, changed between 5 and 7 meters. On both sides of it were rows of shops, votive fountains, monumental tombs, baths, and the area for the cult of Artemis. Findings indicate a dense settlement. The group of people who set out from Miletus to join the annual celebrations and festivities which were held in the didymion every spring, reached the temple after a long walk, there were therefore, resting places on the Sacred Road. It is understood that the Terrace with the Sphinx, uncovered during excavations carried out in 1985 about 4 kilometers to the south of Akköy, was a halting place built for rest purposes. THE ARCHAIC DIDYMAION (The Apollo Temple at Didyma) Remains of foundations of the Late Geometric period were found during excavations carried out in 1962 by German archaeologists within the secos of the Hellenistic temple to look for the first Apollo temple of Didyma which, according to Pausanias, had existed before the 10th century BC. The temple which, according to the foundations of secos walls uncovered in the north and south parts, was 10.20 meters wide and 24 meters long and slightly narrowed towards the east, was built at the end of the 8th century BC. The small and simple temple contained a secos (sacred courtyard), an altar, a sacred source, a cult statue and the symbols of Apollo. The Late Geometric temple did not have a naiscos, the naiscos is understood to have been built at the end of the 7th century BC to protect the cult statue. Exploratory digging carried out to the south - west of the temple revealed the remains of a columned building 15.50 meters long and 3.60 meters wide. The remnants and ceramic findings h! ave been dated back to the end of the 7th century BC. Not many remains are left to the present day from the Archaic Didymaion, as it was burned, destroyed and plundered in 494 BC (the battle of Lade). Besides, findings relating to the Archaic temple are further limited by the fact that the Hellenistic temple was built over the foundations of the Archaic one. However, the construction of the plan was possible and various examples of reconstruction were made through ancient authors, as well as architectural and sculptural fragments found during borings and excavations. The Didymaion became really important in the first of the 6th century BC when all Ionian cities, and especially Miletus, reached their most flourishing era. The temple was rebuilt in 560 - 550 BC with larger proportions. The influence of the temples of Hera at Samos and Artemis at Ephesus are apparent in the Archaic Didymaion. The temple, an 87.65 meter long and 40.89 meter wide building of a dipteral plan (having a double row of columns all around), rested on a two - stepped crepes. The longer sides had 21 columns each, the east had 8, and the west 9, whereas in the pronaos there were 8 columns in two rows. Together with the columns within the peristasis (the surrounding hall), the total number of columns added up to 112. The parts of the temple which were not visible from the outside were made of local tufa, while those that were visible were made of marble. The marble was provided from marble quarries on the island of Toşoz, and in the hills above the village of Pınarcık near Bafa lake. One can still see fragments of roughly prepared column shafts in the quarries at Pınarcık. The party worked marble, brought from the quarry to Latmos Harbour, was then taken by sea to Panarmos Harbor, and from there it was carried to the temple The bases and capitals of the 15.45 meter high columns bear the characteristics of the Artemis Temple at Ephesus; the bases consists of tori and double trochili, the Ionic capitals have large volutes, the column shafts have 36 flutes. On the eastern facade, the lower parts of the columns in the front row were decorated with reliefs; a head of a woman (Kore) from these relief is on display in the Charlottenburg Museum in Berlin. The characteristics of all these elements indicate that they were at the latest made in the year 550 BC, which coincides with the date of the initial construction of the Archaic Didymaion. The double row of columns in the pronaos indicate that it had a roof. The architrave is quite narrow. In the corners are high reliefs of winged gorgons and behind these are figures of crouching lions. It is believed that certain wild animals\' figures were also there besides the lions. This type of decorations is quite unusual in temple entablature. These pieces of work which can be dated back to the end of the 6th century BC, were probably made during restoration works which took place in the temple at the time. On the architrave rest, in due order, a band of egg - and - dart molding, dentils, another band of egg - and - dart moulding, a cornice and a roof. The inner sides of the walls of the secos (sacred courtyard) were fortified by pilasters in the form of half - columns, which brought colour to the long, high walls. The height of the walls of the 50.25 meter long and 17.45 meter wide secos reached 17.5 meters. Walls of this height give the imprecision that the secos was was roofed, but the greatness of the distances between the pilasters on the walls destroys this theory. Within the secos stood the naiscos (little temple) where the cult statue of Apollo was kept. However, there are not many findings belonging to this buildings. During borings in the Hellenistic naiscos, foundation remains belonging to a smaller building were found. It is believed that these foundations belong to the Archaic naiscos. The bronze cult statue is known as the \"Apollo Philesius\" and represents Apollo catching a deer. In front of the temple (east) and on the same axis stands a circular altar. This altar, of which the other diameter measures 8 meters and the inner one 5.5 meters, had two doors. The holes for the hinges can still be seen on the thresholds. The altar of which the inside is very well preserved, had been used in the Archaic, and also in the Hellenistic and Roman temples as the sacred place where the animals presented as votive offerings were burned. The great amount of ashes found in the building during excavations is evidence of this. In ancient times, animals offered to the gods of the sky were burned in this type of altar, and sanctification was achieved by washing in the blood of the animals offered to the gods under the ground. To the north of the altar is the sacred source. The masonry of the lower parts of this circular well shows that it was constructed in the Archaic period. 3.5 meter high protective walls encircle the front part of the temple. These walls must have been built to diminish the difference of levels in the large area in front of the temple. In the uncovered portion of these protective walls were five outlets with staircases, each 2.5 meters wide. The central stairs are situated just opposite the altar, on the same axis. These stairs led to the terrace on which stood the votive and gods\' statues. The style of the egg - and - dart molding used to decorate the upper part of the terrace wall as well as the workmanship of the wall and stairs, bear the characteristics of the Archaic period. On this terrace one also comes across the remains of two long structures built of limestone. The 34.5 meter long and 7 meter wide buildings must have been shops where visitors took shelter or shopped. These buildings also show the characteristics of the Archaic period. Next to the stairs along the terrace wall situate in the direction of the south - east end of the temple are rows of benches. It is understood that these benches extending parallel to the steps of the temple were built in the Hellenistic period, and were the rows of benches for the stadium situated to the south of the temple, Every four years festivities called the \"Megala Didymeia\" and musical shows, were held here, and torch processions and competitions were arranged. The bases having a hole in the center, which marked the starting points of the races, can be seen at the eastern end of the stadium. These bases lie on the same axis as the altar. THE HELLENISTIC DIDYMAION What remains of the temple in the present day, through hundreds of years of earth - quakes, fire, destruction and plunder are mostly remnants of the Hellenistic period. The Roman characteristics witnessed in certain parts of the temple, are elements which have reached the present day from the temple, which continued to be built during the Roman period also. It is known that the construction of the Hellenistic temple was begun in 313 BC, and that it was erected over the Archaic temple which was burned and destroyed in 494 BC. The donations of Alexander the Great and King Seleucus I of Syria were of great help in the rebuilding of the Didymaion. Furthermore, Seleucus I had the cult statue of Apollo brought back from Ecbatana (300 BC) and replaced in the temple. The plan of the temple was made by Paionius of Ephesus and Daphnis of Miletus. These two renowned architects had also worked on the Artemision at Ephesus (one of the seven wonders of the world) and the Heraion at Samos, which were considered to be the largest and the most magnificent temples of the Hellenistic period. The Didymaion emerges as the third largest edifice of the Hellenistic period, following the former. The plan, as a requisition of the cult, had to provide an open air space to hold the Sacred Fountain, the Altar, the Laurel Grove, considered to be the sacred tree of Apollo, and it had also to shelter the cult statue. All these elements had to be arranged in a way not to disturb the covered spaces. The architects constructed on ostentatious example of architecture, by the perfect use of the local characteristics of the cult of the oracle and of the spaces of different levels. This temple differed from a normal temple plan in that it was also the seat of an oracle. Teh edifice consisted of a long pronaos, a rectangular hall with two columns in the centre (the oracle hall-Cresmographeion), a sacred courtyard surrounded by high walls (Secos-Adyton), and in this courtyard a small temple sheltering the cult statue of Apollo (the naiscos), all set on the same axis but at different floor levels. The temples, situated over the Archaic one and of Larger proportions, had necessitated an ucommonly high lower structure. The temple rested on a 3.5 meter high and 7 - stepped platform (crepis), and had in the center of the front facade a 14 - stepped stairway of which both sides were limited. The width of these stairs was equal to that of the temple. This characteristic is also visible in the Classical Artemision. The temple, 109.34 meters long and 51.13 meters wide, was built on a dipteral (having a double row of columns all around) plan. It had 21 columns each on its longer sides, and 10 each on the shorter ones. Together with the columns within the peristasis and the ones in the pronaos and cresmographeion, the total number of columns added up to 122. The cost of the columns of which only three stand today, was very high. Excavations have revealed a great number of inscriptions showing the calculation of construction costs prepared during the building of the temple. It i! s understood from these documents that the cost of one column was 40,000 drachmae and that the daily wages of a labourer was only 2 drachmea. This means that one laborer would have to work for 20,000 workdays to put a column in its place, or to adapt it to the present day, by assuming that the minimum daily wage of a stone workman be 10,000 TL, the construction cost of a column could be calculated to amount to 200 million TL. It is also known, from these inscriptions that, from 250 BC onwards, 8 architects and 20 construction companies worked for the temple. Such a large and costly building could certainly not have been finished in a short time. It is understood that the construction went on in the 3rd and 2nd centuries BC, and that some of it was completed during the Roman period. Although a great portion of the columns were prepared and set in their places, it can be seen that those in the outer row of the peristasis and especially those in the rear facade were never completed. The height of the columns was first determined in 1873 by A. Thomas as being 19.71 meters. The accuracy of the measurement was evidenced by recent research work also. The lower diameters of the columns vary between 1.96 and 2 meters. This conforms to the rule that, in the Ionic order lower diameters of columns are equal to 1/10th of their height. A von Gerkan has calculated the total height of the temple, including the 19.71 meter high columns, the stepped lower structure and the entablature, as 29.40 meters. This measurement gives an idea of the magnificence of the temple before it was destroyed. The double row of columns round the temple gave the building a very impressive appearance as well as depth. Of the 108 columns in the peristasis (the peripheral hall) about 80 are standing in their original places. The letters seen in the upper and lower parts of the fragments of column shafts were written by the workmen to avoid any mistakes during the placing of the columns in their places. This is also an indication that the columns had entasis (a swelling of column shafts). Of the three Hellenistic columns still standing, the workmanship of two are complete and they carry the entablature. The third column which carries a capital has no fluting in its shaft. According to the characteristics of the capitals, the columns were built in the first half of the 2nd century BC. The bases of the columns in the peristalsis display different characteristics; whereas some consist of plinthus, torus and double trochilus, the column bases in the central part of the other row in the front facade show Early Roman characteristics. One of these bases is divided in to 12 rectangular panels decorated with motifs of sea creatures, palmettoes and other plants. On another base there are double meander and palmento motifs. These bases were built between the years 37 and 41 BC by Emperor Caligula who wanted to identify himself with Apollo. The capitals situated at the outer corners of the peristasis and ornamented with busts of gods and bulls\' heads as well as the heads of Gorgons on the architrave, show the baroque characteristics of the 2nd century AD. The columns on the north side of the temple, of which the workmanship is complete, are all standing in their places, whereas those on the west side were set in their places, although their workmanship was incomplete, the latter now lie on the ground, fallen in earthquakes. Most of the columns on the south side are missing, and it is understood that they were never completed. In the front of the temple, after the double row of columns, was the pronaos. Also mentioned as the 12- columned hall in archaeological literature, the pronaos had a total of 12 columns in three rows of four columns each, which carried the roof (Dodecastylos). The marks left by the fire of the Middle Ages can be seen on the Attic styl, scale motifs are carved on the upper parts of the antae walls are profiled in the same form. This is the first time that this characteristic, of which an example is in the Porthenon, is seen in a Ionic temple. There were three doors in the rear wall of the pronaos. The central door of monumental appearance was 5.63 meters wide and 14 meters high. The fact that its threshold was placed 1.46 meters higher than the floor of the pronaos shows that there was no entrance from here to the oracle hall. The prophecies of Apollo were communicated by his pronouncers to the people through this door. It is therefore named the \"Oracle Door\". The marble blocks on either side of the door weigh 70 tons each are known as the heaviest elements of antiquity. The two other doors, one on either side of the monumental door, were each 1.20 meters wide and 2.25 meters high, and provided the entrance to the inner part of the temple. These doors were connected to the sacred courtyard by vaulted and sloping narrow corridors. In the lower parts of the corridors which opened onto the Adytum were small divisions which had coffering in their ceilings. Doric elements seen on the doors are characteristics which remind one of the propylaea of the Athenian Acropolis. Only persons working in the temple and priests could enter the inner part of the temple. These people would reach the Adytum through the dark and mystic corridors mentioned above. To the east of the Adytum, between the doors at the end of the corridors, was a 15.24 meter wide stairway consisting of 24 steps. These stairs led to a 14.01 meter long, 8.74 meter wide and 20 meter high hall with three doors and two columns. This hall which had no entrance from the pronaos was Cresmographeion (the hall of the oracle) which together with the pronaos the first completed sections of the temple. Only priests and mediums could enter this hall, and they communicated the prophecies to the people through the above mentioned monumental door. Therefore, the Cresmographeion and the pronaos, which constituted an entity, were considered the most important divisions of the Didymaion. The two columns in the center of the oracle hall had Corinthian capitals and carried the roof. Understood to have been built in the beginning of the 3rd century BC on the evidence of their characteristics, these capitals are considered to be among the earliest examples of Corinthian capitals. The doors the north and south sides of the Cresmographeion open onto stepped passages mentioned as Labyrinths in inscriptions. On the ceiling of the better preserved southern corridor meander motifs can be seen. These passages played an important role in acoustics during cult ceremonies accompanied by the chorus. The roof of the temple was also reached by these passages. The 21.71 meter wide and 53.63 meter long Adytum is of a very striking appearance with its 25 meter high walls and its top open to the sky. The lower part of the Adytum walls which are at the same level as the Cresmographeion have the appearance of a high podium. Their base is profiled and the upper end is finished with a row of egg - and - dart molding. The podium which is made of smooth marble blocks displays a fine workmanship. In the central parts of the walls are pilasters in the form of half - columns. Over the pilasters were pilaster capitals ornamented with motifs of griffins or vaulted plants, on the frieze between the capitals were reliefs representing winged lions holding Apollo\'s lyre between their paws, and on top of it all was the cornice ending in the cymatium. All these elements brought color to the long and excessively high walls. The decorations on the walls of the Adytum bear the characteristics of the Early Hellenistic period. These elements indicate tha! t the Adytum was built in the first half of the 2nd century BC. It has also been proven by an inscription that the Adytum had been completed at that time. One of the most important findings of recent years in the Didymaion are the drawings on the lower parts of the walls of the Adytum. These drawings which can be seen with great difficulty and only under certain lighting condition, first attracted attention in 1979 and work was begun on them in 1980. The work is being carried out by Lother Haselberg who was the first to see the drawings. These were worked onto the smooth marble walls of the Adytum by making about half a millimeter deep incisions in the surface of the marble by a very thin and sharp point, and they represented the plants of various elements and divisions of the Didymaion. In order to obtain accurate drawings, a grid consisting of horizontal lines with 1.8 - 1.9 centimeter intervals cut at regular intervals by perpendicular lines, was prepared beforehand to serve as a scale. This grid facilitated the making of the actual drawings. It is understood that these drawings which are extremely accurate, were done by th! e architects who worked on the construction of the temple. The plans cover an area of 200 square meters. Some of the drawings were made horizontally, whereas others are perpendicular. In general, the horizontal drawings are on a 1 to 1 scale, and the perpendicular ones on a 1 to 6 scale. Besides the drawings of elements like column bases and shafts, the drawing of o portion of the entablature of the niscos was also discovered on the rear wall of the Adytum. These drawings, believed to involve all the parts of the temple, will throw a light upon many an unsolved problem on the Didymaion, thus adding new proportions to the work. To the west of the Adytum stood the naiscos which sheltered the cult statue. The temple, of which only the remains of the foundations can be seen today was 14.43 meters long and 8.24 meters wide. The plan of the naiscos, reconstructed from discovered fragments, was a pro-style. The temple was a small building with antae obtained by the projection of the two side walls of the naos and four Ionic columns in front. Column bases were of the Ephesus type. The Ionic capitals, antae capitals and entablature ornaments, all show Early Hellenistic characteristics. Wall bases were profiled in the Attic style like the Adytum walls. The edifice, which looked like the Zeus temple at Priene, was the first Anatolian temple built in the Hellenistic period under Attic influence. In contrast with the smooth, ornament less walls, the entablature was very richly decorated. The coffering of the ceiling in the front hall and the soffits of the lower part of the architrave, were decorated with flow! er motifs polychrome in various colors. It is accepted, according to the ornamentation of the entablature, that the naiscos was completed in 270 BC and that the cult statue of Apollo which was brought from Ecbatana, was put in its place in the naos in 300 BC. The reconstruction model of the naiscos, constructed by putting together the discovered architectural fragments, is kept in the storeroom of the excavation house. GENERAL CHARACTERISTICS OF THE TEMPLE Besides being for centuries a very important oracle seat, the Didymaion was also renowned for its sacred water, sacred grove, the many sacred elements it housed, and its wealth. The riches of the temple had its source in donations and votive offerings made in varying forms. The very valuable offerings of King Necho of Egypt, King Croesus of Lydia and King Seleucus II of Pergamum, had an important place among the donations made to the Didymaion. The donation of various sacrificial animals, 1,000 in number, and 12 rams by Lysimachus, was also one of the interesting offerings. The fact that Miletus attempted to build a fleet with the treasury of the temple before the battle of Lade, shows how rich the Didymaion was. One other feature of the Didymaion was that it had the right to shelter. This right which was termed \"the Right of Asylum\", was the recognition of the right of inviolability to people who took refuge in the temple. The right of asylum, which therefore created many problems, had given rise to many a discussion. The boundaries of the right of asylum, however, were gradually enlarged and were increased to 3 kilometers by Emperor Augustus Trajan enlarged the boundaries even more and wanted them to be recognized from the beginning of the Sacred Road. It is understood from inscriptions that the festivities and ceremonies held every year in spring went on even after the Didymaion was completely destroyed in 494 BC. The journey from Miletus to the Didymaion was made by sea or by the Sacred Road. The group of people who set out from Miletus with ceremonies begun in the Delphinion where they received the sanctification of Apollo and were sent forward by the Delphins, came from the Lions\' Harbour to the Panarmos Harbour, and from there reached the Didymaion on foot. First, sacrificial beasts and votive offerings were presented to the god, then, after ceremonies to the accompaniment of music and chorus, the important persons entered the temple, and after that, the questions asked by inquires were answered by the oracle. The ceremonies were directed by the Stephanephors. It was shown by inscriptions that the Emperors Augustus and Trajan took the title of Stephanephor and carried out this position. In the Roman period, the Sacre! d Road gained in importance as the harbors filled up with alluvial mud and travel by sea became unfeasible. The reason for this extremely impressive and magnificent temple\'s not being considered among the seven wonders of the world is related by the authorities to its not having been completed. Didim is shaped as a peninsula surrounding Mugla on the east coast with huge inlet of Akbuk town, Aegean sea on the west and east coast, Lake Bafa and the Menderes River on the northern coast. 106 km's to Aydin provenience, 53 km' to Söke town, 73 km's to Kusadasi, 110 km's to Bodrum. Spread to 300 km2. of area. Eingestellt von Didyma-propertys um 09:24 .
ins Meer, ideal für Kinder. kann jetzt richtig toll baden! Klein aber fein. Nicht ganz so sandig, wie der Haupstrand, aber schönes klares Wasser. Die Webmaster gehen da hin, wenn der Hauptstrand und Ücüncü Koy zu voll sind. Zu Schnorcheln auch nicht schlecht. 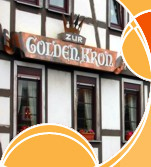 Hinweis zum Restaurant: Wer dort sein Trinken holt, wird zwar auf sehr freundliche (sogar deutsch) begrüßt, man soll dann aber auch Schweinpreise zahlen. Ruhig laut drüber mockieren, anders lernen es manche nie! Eingestellt von Didyma-propertys um 08:02 . 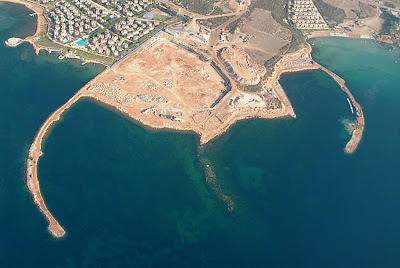 These astonishing pictures from Dogusmarina.com.tr, the website of the company constructing Didim D-Marin show for the first time the true scale of the marina, set to transform the entire complexion of Didim and the surrounding area. 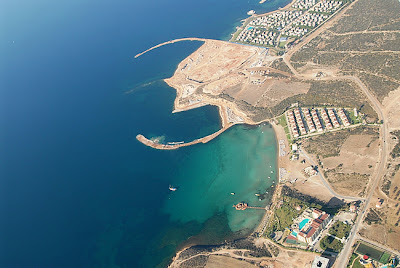 Doğus Holdings and the civil engineer in charge of the project hope that the marina will be finished 8 months before schedule, in January 2009. According to an interview in The Didymian, 03/11/07, Kemal Atabek says that interest in the project has been even greater than anticipated, and that in addition to the original plans, a ferry platform, depot and hangar have also been added to the plans.